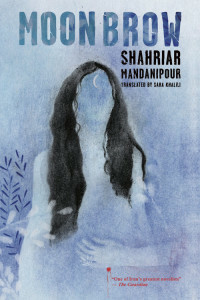 A quick summary of Moon Brow (464 pages; Restless Books; translated by Sara Khalili), Shahriar Mandanipour’s newest novel to be translated into English, reads like the stuff of fable. Our main character, Amir Yamini, returns from the Iran-Iraq War saddled with amnesia and bereft of his left arm. Ostracized from his family and community as a head case, crippled by shrapnel, he is repeatedly haunted by the image and piecemeal memories of a beloved. With the help of his sister, Reyhaneh, he searches Tehran for signs of his past, and potentially for the love he no longer recalls, save only in his dreams. In a brazen attempt to rediscover a portion, both imaginative and literal, of what was lost, his journey eventually leads him back to the battlefield where his arm was severed. From a lesser writer, one might expect numerous pinholes to develop within this complex and twisting storyline, not to mention a sentimentality found in gone-off-to-war pseudo heroic narratives. Instead, Mandanipour treats us to a new kind of story by filtering his novel through the dual personas of the angel of virtue and the angel of sin perched on Amir’s shoulders. Not only that, but Amir himself, at times, converses with each scribe, encouraging one or reprimanding the other. (“Write on my right shoulder that I like the old man. Not on my left, you jerk! The old man has memories of my childhood.”) We’re often shuttled smoothly from one point of view to another, and to yet another, as the past is recast—not so much as fact or history, but as a feeling or moment, transitory and unsettled. By the time he makes his way to the soldiers, the pleas and howls of three of them have stopped. Like a snake, an intestine has slithered under a rock. A lacerated red mask on a face. One man, sitting on his knees, his forehead on the ground, silently trembles. His uniform is soaked with blood. Is it his blood or another soldier’s? Amir’s memories of the violence of the front are almost hallucinogenic, a consequence both of the precise language used to conjure such awfulness as well as the already established shifting narrative. The sometimes-brief recollections that spool into one another continuously in an almost stream-of-consciousness manner heighten the drama. Images of war and beauty exist in close proximity, and the sudden turn from idyllic to grotesque mirrors the precariousness of human life in wartime. There are and there are not clouds in the sky. There is and there is not the perfume of wintersweet flowers in the air. There is and there is not the tick tock of a clock. There is the smell of dead leaves fermenting and there is no cuckoo of a cuckoo bird. This is complicated, enjoyably, by the ongoing disagreements between the raconteur scribes. “The account on his left shoulder is faulty,” says the scribe on Amir’s right shoulder. 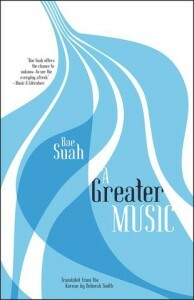 “Not that it is untrue, but it has been written from Abu-Yahya’s perspective. This should not be done.” We inhabit the area between the two, listening to both sides, trying to piece together, alongside Amir, an accurate account of his life before the war. After a while, a certain vertigo permeates the text. It’s quite remarkable, and should be counted as a tremendous success, then that Shahriar Mandanipour sustains this tightrope act for well over 400 pages, both rewarding and delighting those who make the journey with Amir. 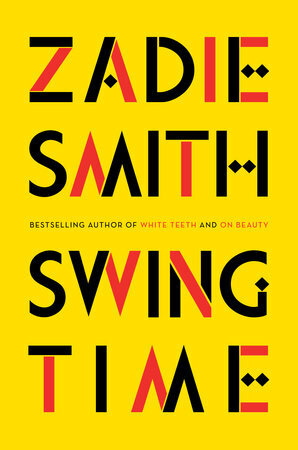 If it weren’t for the prologue in Zadie Smith’s new novel, Swing Time (464 pages; Penguin Press), a reader might be confounded by the many undulations the narrative takes as it kicks off in the present then looks back upon a past traumatic incident, excavating it. 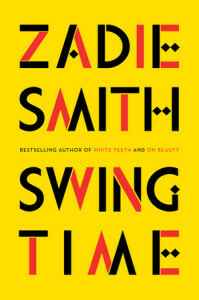 What could have been off-putting proves to be an adventure zig-zagging from public housing to brownstones, from England to Senegal, from 1982 to 2008, filling in the gaps in time and place and creating a definitive arc, albeit one completely warped. Relationships, and the action that subsequently alters them, form the novel’s backbone, cementing the nonlinear action nicely. When we meet Tracey in the book’s opening, she’s another mixed-race girl whom the unnamed narrator has dance class with. Their friendship and fated falling out is the stuff of tragedy in the classical sense; our narrator muses, “there was always this mutual awareness, an invisible band strung between us, connecting us and preventing us from straying too deeply into relations with others.” Tracey is, indeed, the narrator’s sole object of obsession, one she returns to at varying points, often by way of other characters, illustrating their karmic inseparability—a lodestar by which she tracks her own success or failure. Tracey is the more talented of the pair, but her talent quickly dissipates when she falls prey to the socioeconomic odds stacked against her, eventually railing to bring the narrator down with her. Such is the philosophy explored at the core of this novel, and in doing so equates language-learning with music, the nuances of which are not directly translatable and more closely align with emotion. So it’s no shock when our narrator and M develop a romantic relationship whose vocabulary has yet to be determined to the reader. M has an alluded-to allergic condition that further complicates and strains their relationship, though other pertinent details are left out. While standing unarguably as the novel’s primary concern, M comes and goes as a memory whose legacy is a piece of a larger puzzle.